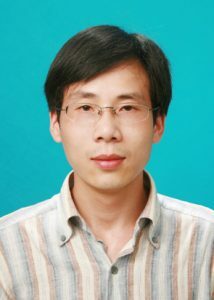 He is an associate professor of Hangzhou Normal University. He graduated from the Department of Foreign Languages, Huaibei Normal University in 1990 and earned his bachelor’s degree. In 1996, he got his master degree of arts from the School of Foreign Languages, East China Normal University. He also studied in Shanghai International Studies University and worked at Huaibei Normal University and Middle Tennessee State University, America. He is now working at the School of Foreign Languages of Hangzhou Normal University. His major academic interest is: English language teaching theory and practice, English linguistics, language and culture and dissemination of Chinese culture. He received his B.A. from Huaibei Normal University in 1997, his MEd (TESOL) from the University of Sydney in 2005 and Ph.D. in English Langage and Literature from Shanghai International Studies University in 2012. His main research interests are in the area of language and intercultural communication. He also researches issues concerning intangible cultural heritages. From 2008 to present, he initiates and guides a National Brand Cross-cultural Activity: “Beyond the Voices”, a service -learning project on the dissemination of Chinese culture. In 2011, he initiated the first Complementary Chinese Course Project in China. From July 2013 to August 2014, he had his visiting scholar experience at University of Wisconsin, Madison. From 2013 to present, he is doing his post-doctoral research at College of Economics, Zhejiang University, focusing on cultural identity and entrepreneurship. In 2015, with the support from his university, he founded Yang—Ming Academy, dedicating to the dissemination of Wang Yang-Ming’s philosophy, the Unity of Knowledge and Action in particular. He is currently a Professor, Deputy Dean at School of Foreign Language Studies, Ningbo Institute of Technology, Zhejiang University. He is also Deputy Director of Ningbo Center for International Cultural Studies. Address: No.1 South Qianhu Road, Higher Education Zone, Yinzhou District, Ningbo, Zhejaing, 315100, P.R. China. ORCP supports internationalization and we encourage our users to submit translations, and drop us a line if you would like to help.